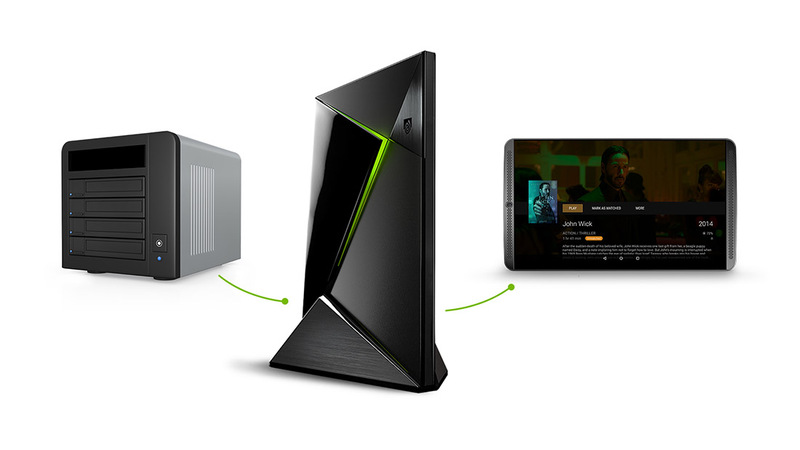 NVIDIA SHIELD’s 3.2 Update With Plex Media Server Support, Netflix in HDR, YouTube 4K 60FPS, and More is Out! Earlier this month, NVIDIA and Plex announced that through an incoming update to version 3.2, the SHIELD Android TV box would have the opportunity to become a Plex Media Server, all but eliminating the need for you to run a PC as your media box. That update, which also includes a number of other noteworthy features, is now available. According to the release notes, this update builds-in Plex Media Server, so you will be able to use your SHIELD to stream to all of your devices (even outside the home) or “accelerate your media” through SHIELD’s HD transcode. I have not yet updated my SHIELD to 3.2, so I’m still not sure if you need the Plex Media Server app installed. If you do, you can grab it here. As for the rest of the update, it includes Netflix in HDR, VUDU in 4K, Dolby Atmos surround sound, and YouTube 4K in 60fps. NVIDIA also tossed in accessibility of SHIELD folders from network PCs with drag-and-drop sharing (Settings>Storage & reset>Access SHIELD folders on PC), mounting of a network attached storage device (NAS), an option to turn off your TV when SHIELD goes to sleep, picture improvements to RGB TVs, the latest Android security patch, and more. Yep, it’s a massive update.